Russians adore Caucasian – in particular, Georgian – cuisine. In the past, Georgia, Armenia and Azerbaijan were part of the Russian Empire and, later, Soviet Union and many traditional dishes from these countries are familiar to Russians and feature on their everyday menu. This is particularly true of shashlik; its distinctive aroma fills the air of dachasa seasonal or year-round second home, often located in the exurbs of Russian and other post-Soviet cities around Moscow as soon as first warm spring days roll in. 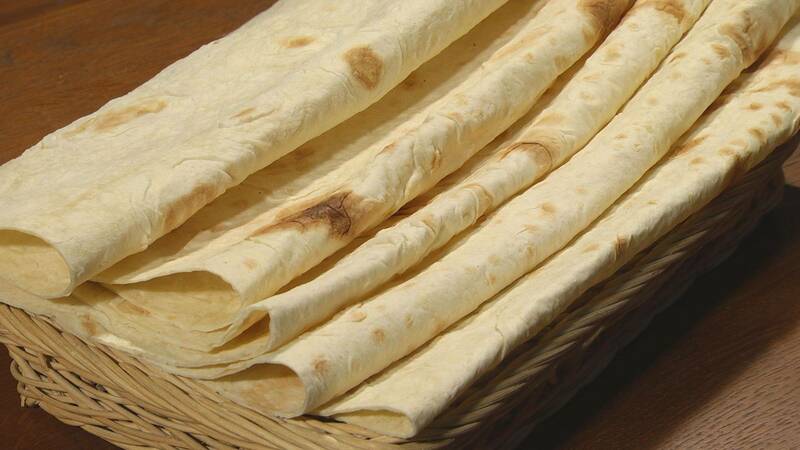 You can buy lavash, or thin wheat flatbread, in any supermarket. Stews, meat grilled on the coals, piles of fresh herbs and vegetables, soft cheeses, delicious pastries, sweet red and dry white wines – all these form part of a Caucasian feast. The delicious seasonings and sauces are probably the most characteristic feature of Caucasian cuisine. They are made of fresh herbs and spices and mixed with walnuts, pomegranate or cherry plum juice, grape vinegar, garlic or onion and give Caucasian dishes a distinctive taste and aroma. 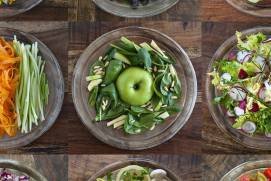 These seasonings and sauces enhance the flavor of basic products such as meat, vegetables and fish. 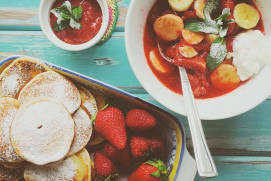 Sauces, such as tkemali, satsebeli, adjika and nasharab are highly popular in Russian families. 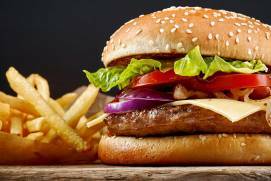 Another distinguishing feature of Caucasian dishes is that the meat is usually cut in small pieces, but you may also see ground meat or steaks on very rare occasions. 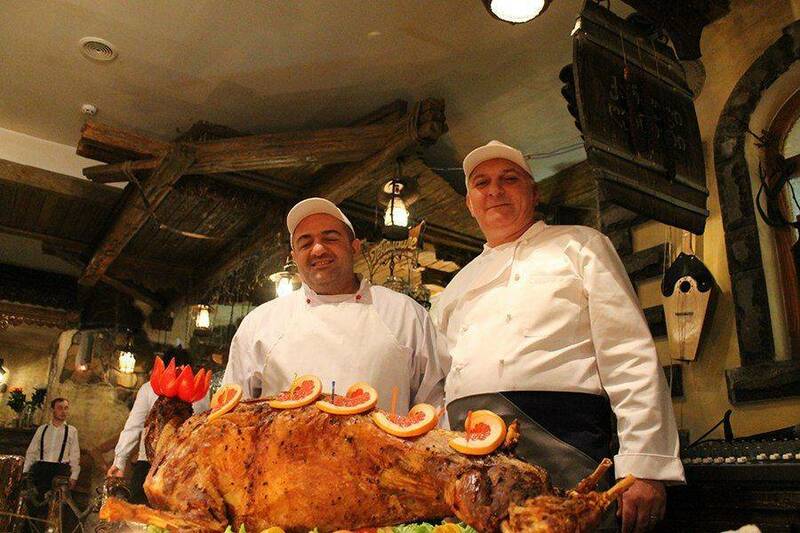 Beef, mutton and chicken are the most popular meats in Caucasian cuisine. Of special importance are Georgian wines – the best known ones are the red wines Khvanchkara and Kindzmarauli, but they all have a very distinctive flavour. Georgian cuisine is arguably the favourite cuisine in Russia. 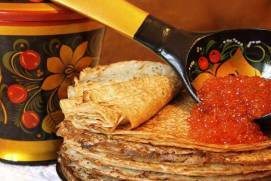 Delicious satsivi, lobio and khachapuri are among the most popular dishes. The menu in a Georgian restaurant will sound unfamiliar names to anyone who has never dealt with Georgian cuisine, so the best idea is to choose satsivi, the classical Georgian dish featuring chicken meat and walnuts, from the “Salads and Appetizers” section of the menu. Lobio, a traditional Georgian hot meal of kidney beans, containing a variety of herbs, is arguably the best of Georgian hot appetizers. Kharcho is a traditional Georgian soup with beef, walnuts, rice and spices. 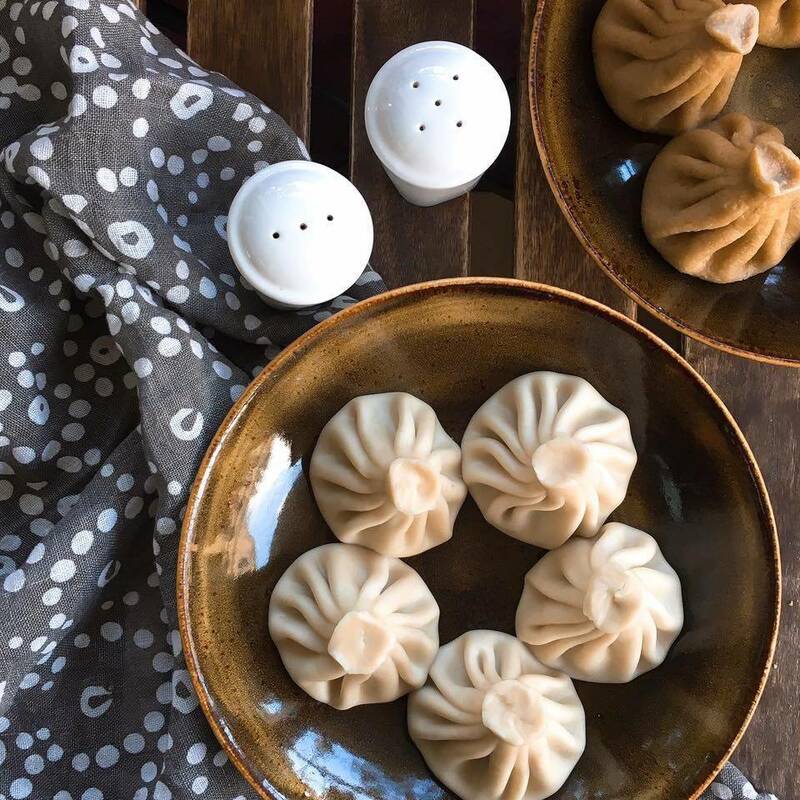 If you are in the mood for meat, try khinkali, or Georgian dumplings, which are served individually. 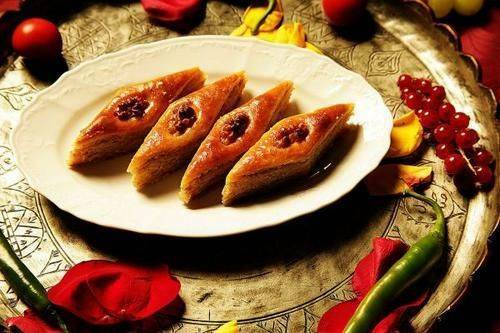 Don’t forget to try mouthwatering Georgian khachapuris, or cheese-filled bread. 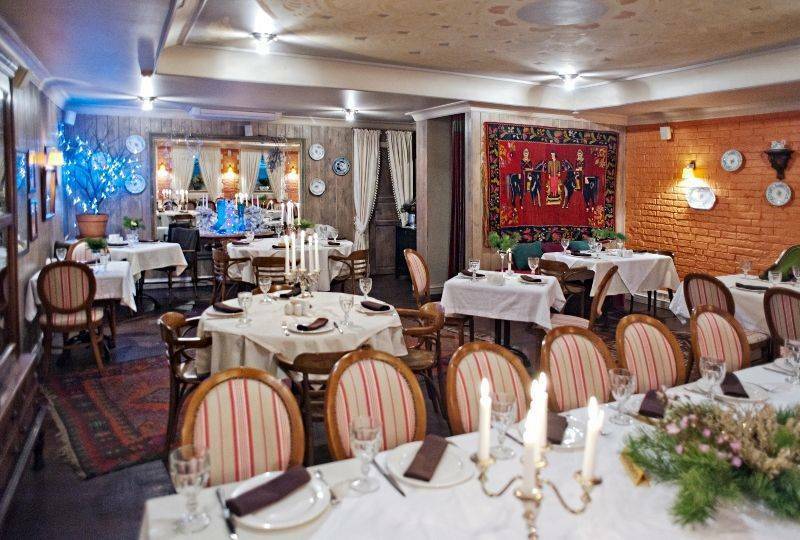 The oldest Georgian restaurant in Moscow is the legendary Aragvi Russian: Арагви(Bldg. 2, 6, Tverskaya StreetRussian: Tverskaya ulitsa or Тверская улица), which was opened in 1938. 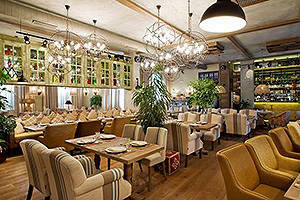 Today, you can try Georgian and Black Sea cuisine and enjoy the new, luxurious interior, reminiscent of Soviet times. The building housing the restaurant is a cultural heritage site. Its foundation is all that remains of a 17th-century palace, which was once topped with three floors in the late 19th century. At that time, its owners used the building as a hotel, where Russian writers I. Turgenev, A. Chekhov and N. Ostrovsky, painter V. Surikov and other celebrities would often stay while in Moscow. Lavrentiy Beria, the chief of the Soviet security and secret police apparatus (NKVDRussian: НКВД) and Stalin’s right-hand man, had a private study in this restaurant. 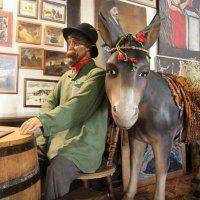 At present, Aragvi features several small halls and a separate bar area, as well as a summer veranda. It hosts concerts (mostly jazz) on Fridays and Saturdays. 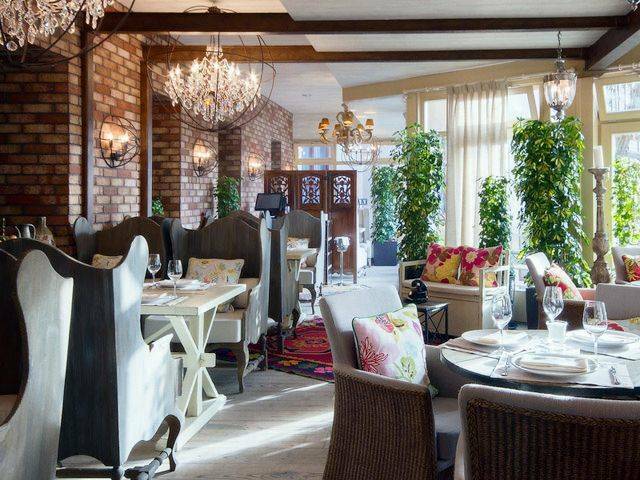 Prices start at 4,500 rubles for a good dinner for two, complete with tea and desserts. 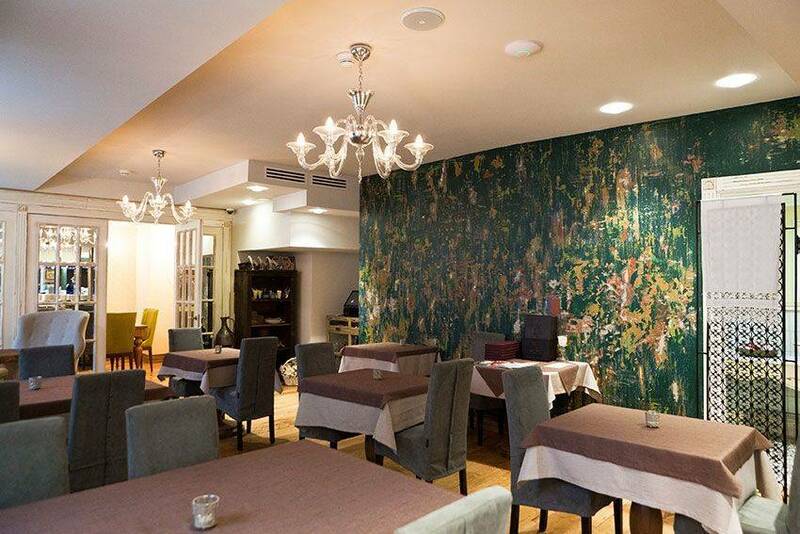 The Ginza Project restaurant holding, together with Tina Kandelaki, a well-known TV personality, opened TinatinRussian: Тинатин (58/1a, PlyushchikhaRussian: Плющиха Street) in 2012. 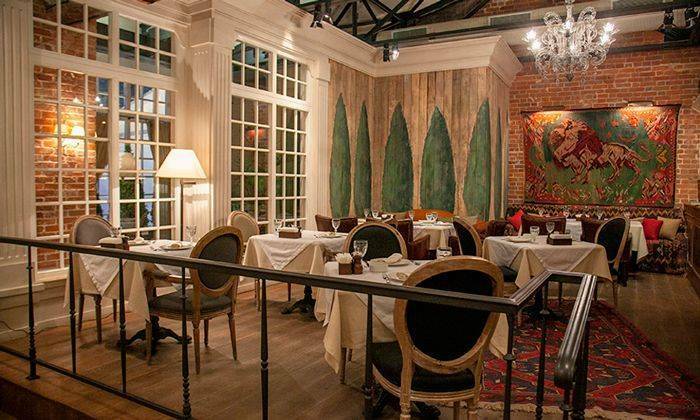 This restaurant’s interior lacks the traditional folklore design, usually omnipresent in Georgian restaurants, and is best described as ‘reserved luxury’. 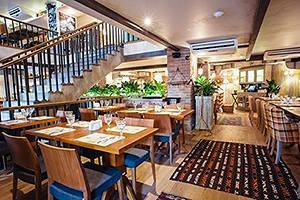 The restaurant features mostly soft sofas and armchairs and a variety of indoor plants. The summer veranda and kids’ shows are one of its unique features. Tinatin serves up classical Georgian dishes, such as satsivi (660 RUB), khachapuri (480 RUB), odjakhuri (690 RUB), along with popular European dishes, including the Caesar salad (670 RUB) and ruccola with prawns (980 RUB). An average bill for a dinner for two excluding alcoholic drinks is approximately 4,000 RUB. One glass of Saperavi (Georgian wine) costs 790 RUB. Opened in 2009, ElardzhiRussian: Эларджи is another Georgian restaurant owned by the Ginza Project, located near Stary ArbatRussian: Старый Арбат Street. It has a more traditional interior, abounding with fabrics, a vast summer veranda and a small courtyard featuring a children’s playground and a pets’ corner. A children’s entertainer comes here on weekends. 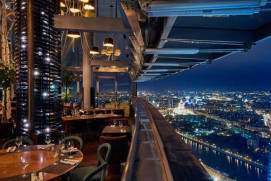 Prices are upwards of 3,000 rubles for a dinner for two excluding alcoholic drinks. TsytsylaRussian: Цыцыла, yet another restaurant run by the Ginza Project, is located in an upscale residential neighbourhood in the West of Moscow (Bldg. 1, 2g, MinskayaRussian: Минская Street). It is only a stone’s throw from a large park, so you can combine your visit to the restaurant with a stroll along the Mosfilmovsky PondRussian: Mosfilmovskiy prud or Мосфильмовский пруд. Tsytsyla serves up Georgia dishes, along with traditional Central Asian dishes, such as chebureki, pilav, manty and so on. An average bill for a modest dinner for two with no alcoholic drinks is 3,000 rubles. A summer veranda and a parking area are available to visitors, and an entertainer will amuse your children on Sundays. GenatsvaleRussian: Генацвале (Bldg. 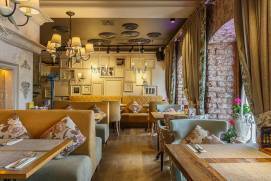 2, 11, Novy ArbatRussian: Новый Арбат Street) is a truly eye-catching place. Its façade, complete with a huge wine jar decoration, is a clear sign that there is a Georgian restaurant inside. This restaurant was opened in the late 1990s. Spread across three floors, it has interiors reminiscent of a Georgian courtyard, with its footbridges, crossings, brooks and even a small pond. The restaurant hosts live musicians, including famous Georgian polyphonic singing. Salads range from 500-800 RUB. Khachapuris are 480 RUB. Soups are 450-600 RUB. An average bill for a dinner for two is 3,500 RUB. Prices for a glass of red wine start at 680 RUB. The menu also offers Italian and Japanese dishes, and you are welcome to take a seat on the veranda during summer. music is featured on weekends. Another long-standing restaurant, Tiflisskiy dvorikRussian: Тифлисский дворик, is located nearby (32, Ostozhenka Street). The interior of this four-storey restaurant has representations of Old Tiflis and antique-style furniture. A large summer veranda is open to visitors. Prices are above average. Salads range from 600-800 RUB, soups from 400-600 RUB and meat and poultry dishes from 700-1,000 RUB. 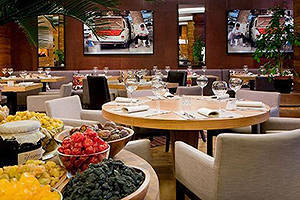 The menu offers a wide variety of mainly European desserts (500-600 RUB). 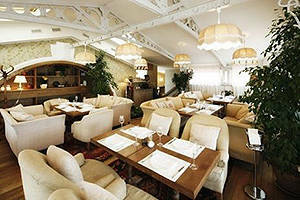 Prices for a dinner for two excluding alcoholic drinks start at 3,700 rubles. 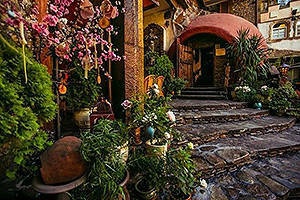 An unusual Georgian restaurant, U PirosmaniRussian: У Пиросмани (4, Novodevichy DrivewayRussian: Novodevichiy proezd or Новодевичий проезд), is situated opposite the Novodevichy ConventRussian: Novodevichiy monastyr or Новодевичий монастырь. Opened in 1998, it is one of Moscow’s oldest Georgian restaurants. Visitors can enjoy Georgian polyphonic singing in the evenings, and many chairs have plaques commemorating eminent guests to the restaurant. An average bill for two (without alcoholic drinks) is 3,500 rubles. 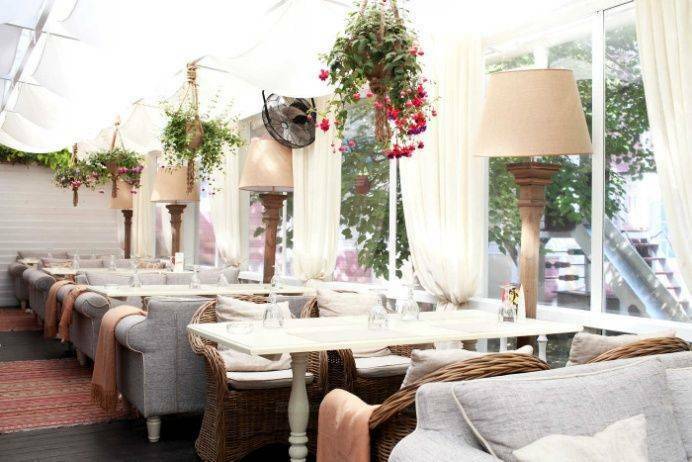 The restaurant boasts beautiful views of the Novodevichy Convent and the ponds. DzonDzholiRussian: ДжонДжоли is a Ginza Project-owned Georgian restaurant chain. It has 10 locations in Moscow. Prices are reasonable (salads: 220 to 270 RUB; meat dishes: 360 to 460 RUB; chicken satsivi: 280 RUB; khachapuri: 380 RUB; soups: 240 to 390 RUB). 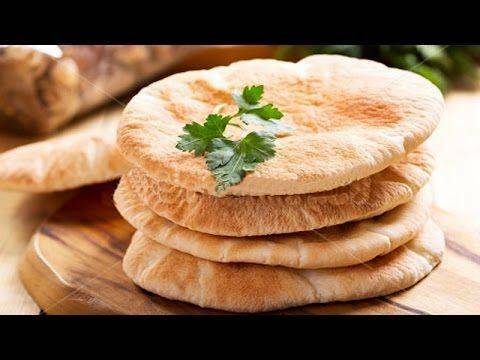 The restaurant has authentic tandoor ovens which are used to bake flatbread. The average bill for a dinner for two (without alcoholic drinks) is 2,000 rubles. 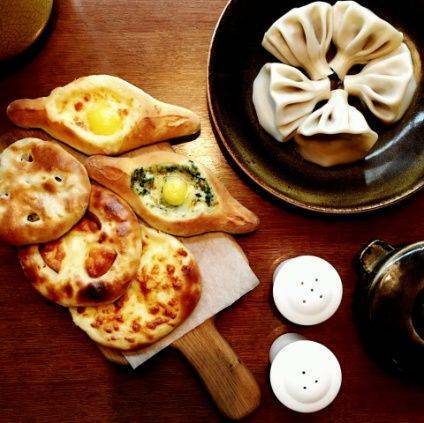 dishes, this chain offers khachapuri and khinkali made of gluten-free flour (400 RUB), pkhali with hazelnuts instead of walnuts, as well as givi burgers. 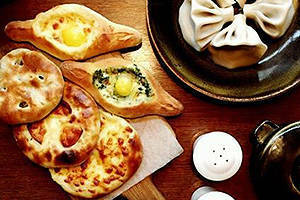 You can also try all of the various Georgian cakes if you order the 700-ruble assorted mini khachapuris. A children’s menu is also available. Vay MeRussian: Вай Мэ! is a network of five snack bars located near various metro stations. 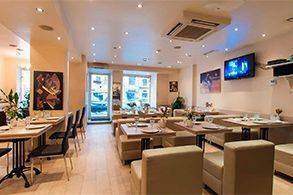 It was launched by the founders of Saperavi Café, so some menu items, including khinkali made of gluten-free flour and the khachapuri burgers, are featured in both places. However, here they cost much less (khachapuri: 220 to 260 RUB; gluten-free khachapuri: 250 to 290 RUB; khachapuri burger: 160 RUB). This is a self-service café. A dinner for two will cost you from 1,200 to 1,400 rubles. An average bill for a lunch (kharcho, vegetable salad, chakhokhbili and tea) is 530 rubles. Georgian and Armenian cultures appear similar but, in reality, have very little in common. This is also true of their cuisines. Traditional Armenian dishes include meat soups (khash and bosbash), kebabs cooked on coals, dolma (ground meat wrapped in grape leaves) and lavash bread. Cognac is the best-known Armenian alcoholic drink. 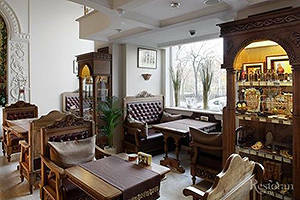 Moscow’s oldest Armenian restaurant, ArmeniyaRussian: Армения, is located at 17, Tverskaya Street. On the first floor, visitors can buy sweets, have some Armenian cognac or just relax in the cafeteria enjoying the great views of Tverskaya Street and the boulevards. The restaurant takes up the second floor, its interior oozing luxury and style. The walls are faced with tuff and furniture is made of solid wood. Prices for a dinner for two (without alcoholic drinks) start at 2,500 rubles. 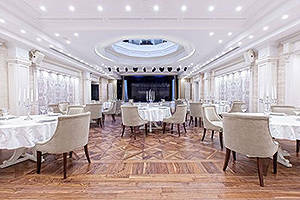 Another modern and stylish Armenian restaurant is located on the first floor of Ararat ParkHyatt, a five-star hotel located at 4, NeglinnayaRussian: Неглинная Street. Noyev KovchegRussian: Ноев ковчег (9, Maly Ivanovsky LaneRussian: Malyi Ivanovskiy pereulok or Малый Ивановский переулок), an Armenian restaurant that opened over 20 years ago, and the relatively new restaurants Gayane’s (1/4, 2nd Smolensky LaneRussian: 2-y Smolenskiy pereulok or 2-й Смоленский переулок) and DolmamaRussian: Долмама (Bldg. 13, 2/6, Romanov LaneRussian: Romanov pereulok or Романов переулок) are also worth mentioning. One of the best restaurants in Yerevan (Armenia) belongs to the owner of Dolmama, who decided to bring his Armenian business to Moscow. These restaurants have summer verandas and live music on weekends. All of these are rather pricey; prices for a dinner for one person start at 2,000 rubles. Noyan TunRussian: Ноян Тун (10, NikolskayaRussian: Никольская Street) and LavashRussian: Лаваш (7/1, Tsvetnoy BoulevardRussian: Tsvetnoy bulvar or Цветной бульвар) are some of the more budget-friendly Armenian restaurants in Moscow. Lamb – cooked over hot coals, stewed or baked – is one of the main ingredients of Azerbaijani dishes. 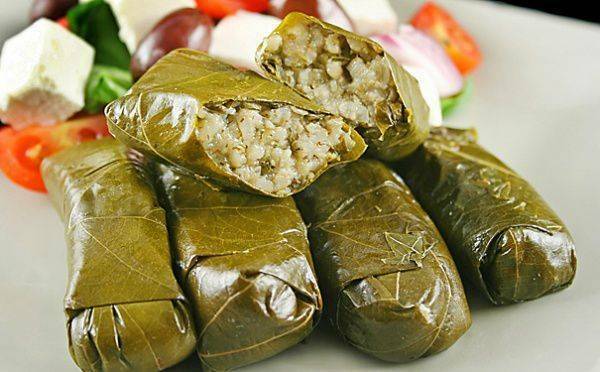 Other traditional dishes include kutabas, dolmas, sweets (like baklava, mutki, shaker-bur), dried fruit and black tea with thyme. BarashkaRussian: Бараshка is the best-known Azerbaijani restaurant in Moscow. Owned by the Novikov group, it has three locations, one each on ArbatRussian: Арбат, PetrovkaRussian: Петровка and Krasnaya PresnyaRussian: Красная Пресня Streets. 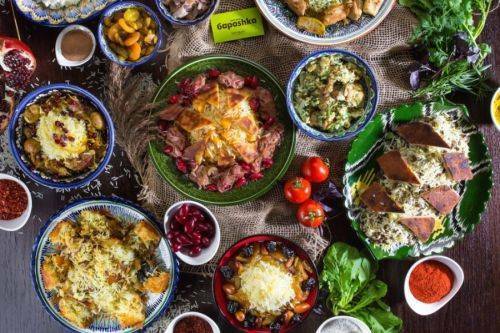 Azerbaijani food can be a little heavy, but here it has been adapted to be a little lighter, better suited to European tastes. These restaurants have modern European interiors with some ethnic Azerbaijani elements, such as kilims, or woolen prayer rugs.